I’ve been working in my New Recipe Planner from Mambi. 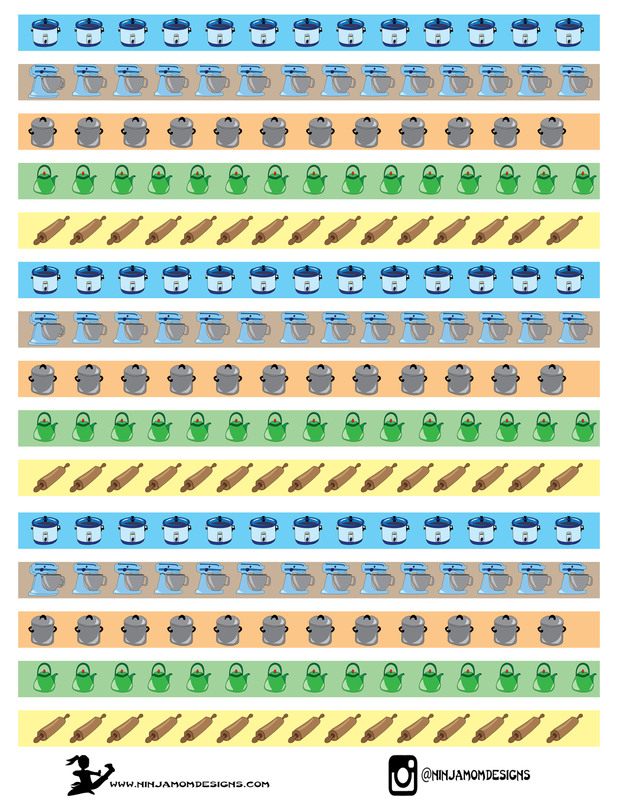 I’m having a hard time figuring out how to decorate and fit in all the recipe information. 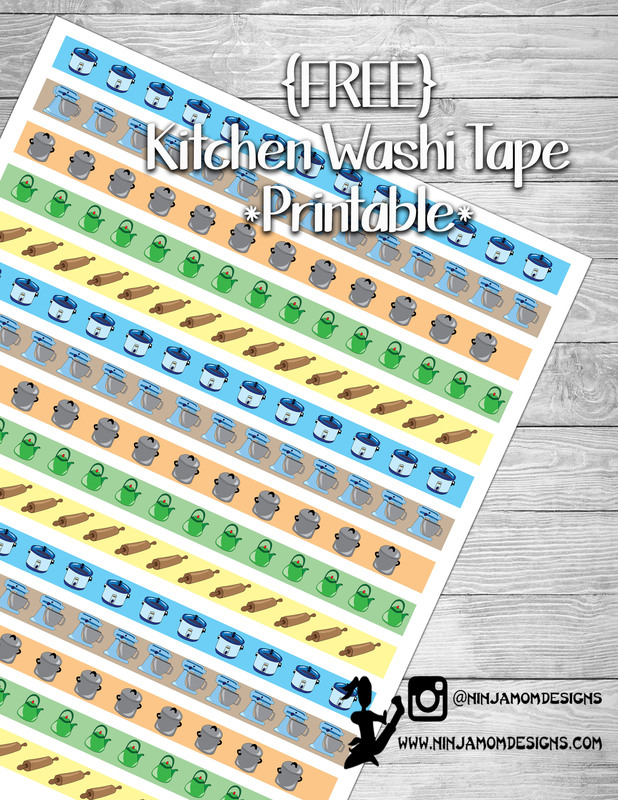 I haven’t had time to go check out what kitchen-y stickers are available, so I put together some fun washi tape that I can use! I’m trying to figure out how I can use these in my regular planner as well. Thank you so. This is so adorable and perfect! Appreciate your work!